I love it when my students request a special arrangement. Valentines’ Banquet! I very happily provided her this arrangement. I highly endorse local teachers. Having someone in-studio with you, teaching you, and helping you learn your instrument is the best option. But sometimes, that best option just isn’t there, and you can’t find a local teacher. In that case, the age of internet is a huge blessing! Now, all you need is a good internet connection, and you can connect with a teacher miles away (in completely different time zones altogether!). For several years now, I have offered video lessons on request. This year, however, I am opening up new lesson slots on Thursdays (CST) for live piano and violin video lessons. If you’ve not been able to find a local teacher, I would love to assist you in learning your instrument! Video lessons are not for everyone, though, so I will offer a free first lesson/consultation. I am a classically-trained violinist (Suzuki level 6) who has experimented with fiddling and ear-playing. I have been trained in classical and ear playing. While I offer traditional keyboard instruction, I specialize in hymn improvisation and arranging. I understand that lessons are a commitment, and I am willing to discuss expectations and desires with you before you begin. I have recorded many of my arrangements and have uploaded them to my YouTube channel (https://www.youtube.com/channel/UCiY76Zt8MuO3IwNyY98AfGQ). If there was to be one song that is considered THE Christmas classic, “O Holy Night” fits the bill perfectly. One of my students requested this for recital this year, and I was happy to oblige her. What is one of the standard “Christmas classics” to you? I have loved the bounciness of “Go Tell it on the Mountain” ever since I can remember. Last year, I arranged this variation for one of my violin students, and this year, another of my students is enjoying it. Most of my violin pieces have an accompaniment, but not this one: violin solo all the way! Arrangement Book and CD Sale! First ever physical sale at With a Joyful Noise!! I have been behind in promoting new releases, so there are a couple of books out that I’ve not announced yet on the site or social media. But, these are included in the sale! You can get the books for 20% off, CDs for 10% off. I absolutely love the “Glo-o-o-o-o-ria” in “Angels we Have Heard on High!” When my sister/student requested this one for recital, I was more than happy to oblige her and arrange it for piano and violin. What is your favorite element of a Christmas carol? Christmas is a Gift | CD Now Available for Orders! Last year, I rush-recorded a piano solo album in time for Christmas. This year, it’s ready for ordering! Sign up to claim your copy now!! (CDs should be available to ship at the end of November) CDs are $12 each plus $3 shipping and handling (USA only–don’t worry, it will be available on digital platforms internationally in a few weeks). The title song was composed by my sister, Elizabeth. Listen to it on YouTube! Several years ago, I recorded my first piano album, “The Solid Rock.” At the time, I thought it very well might be the only piano album I would be able to record (God’s plans surely aren’t ours, and I’m happy about that!). Because this was a once-in-a-lifetime event (or so I thought), it was a combination of all of my arrangements at the time: year 2012. That being said, one of the arrangements featured on this CD is none other than “O Come, All Ye Faithful.” Since it is nearing Christmastime, it needs a little revisit from me, as well as a delightful little sharing with you all via YouTube. 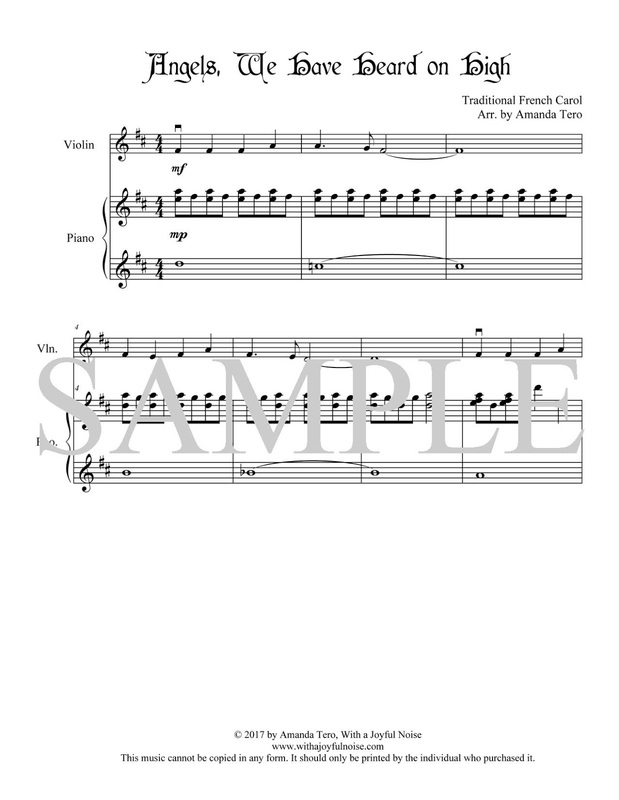 For the first time since 2012, the sheet music is now available for purchase! 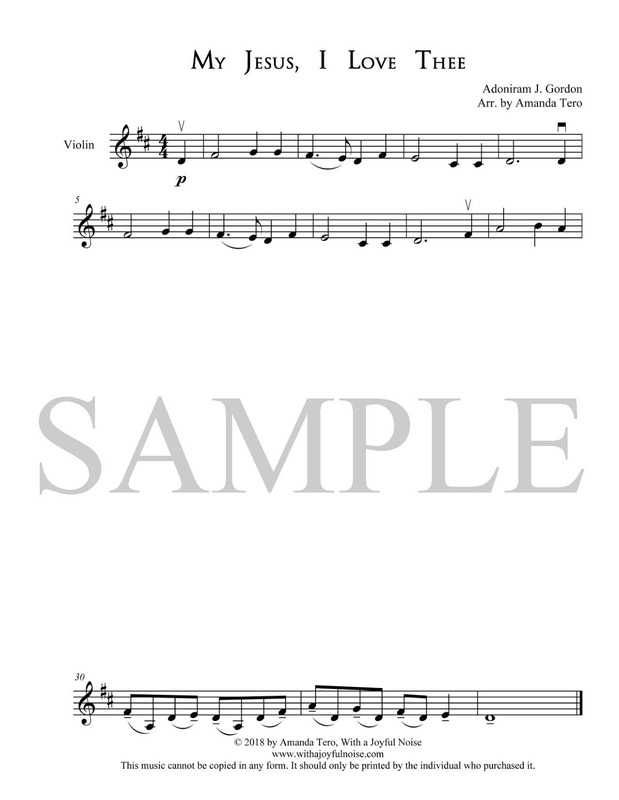 I am planning on working toward publishing the entire collection in sheet music form, but for now, you’ll have to be satisfied with just this one. If you’d like to add it to your music library, MP3 singles are for sale here (or look them up on your favorite digital music server like Apple Music, iTunes, or Amazon). It’s the time of year (and beyond) when I’m working on Christmas recital pieces with my students! I absolutely love this time of year! Here is a piece that I arranged for one of my girls. Do you like songs played on the higher registers of the piano, or lower? For info on sheet music, go here.